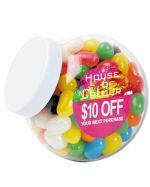 We supply personalised jelly beans in high-quality packaging all over Australia for an affordable price, imprinted with your unique logo or designs. 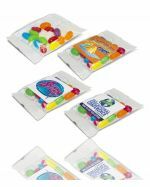 Here at the Promotional Items office, jelly beans are a popular sweet indulgence, and we’re certain you and your customers will love them too. 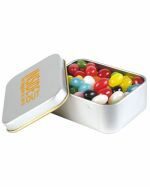 This tasty customised confectionery is available in a wide variety of colours and flavours, and we can provide jelly beans in stylishly branded packaging featuring your custom brand or logo decorated onto it to help you promote your company. 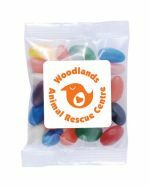 Whatever field or area your organisation, whatever your product or service, our promotional jelly beans are a great option for your next marketing campaign or giveaway. 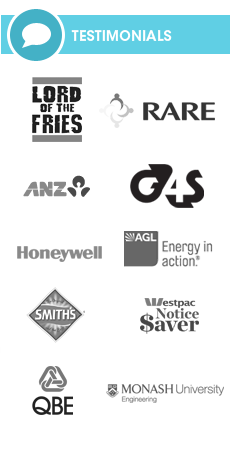 We use various printing techniques to brand your unique logo or graphics onto these personalised packets or jars of yummy jelly beans. 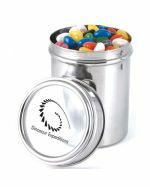 Whether you choose the personalised pillow packs, the handy custom jelly bean dispenser, or the imprinted canister, your potential customers, clients and even staff are certain to feel appreciated when you gift them this delicious treat emblazoned with your design. 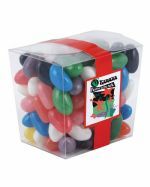 Jelly beans are one of the most tried-and-tested promotional tools for attracting new clients, and not without good reason – their colourful nature, their variety of flavours, and their ability to not melt or distort easily will leave a great taste in people’s mouths (literally). 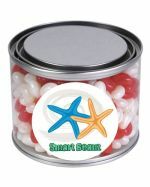 Make your customers think positively of your brand every time they have one of these appealing jelly beans! 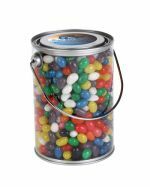 What Are Personalised Jelly Beans Made From? 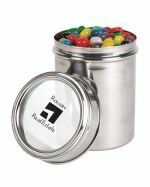 Depending on the promotional item you order, our imprinted jelly bean containers are made from safe, high-quality food standard PVC (Polyvinyl chloride), durable tin metal or acetate, or long-lasting stainless steel to give you that peace of mind. 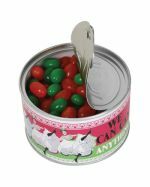 Where to Use Promotional Jelly Bean Lollies? 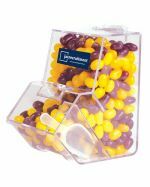 Because our promotional packaged jelly beans have a long shelf-life of up to two years, they can be stored for an extended time, and then distributed to clients, potential customers and staff at an event or campaign of your choice. 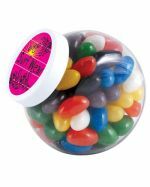 These imprinted jelly beans are perfect as promotional giveaways for your potential customers in any corporate or social situation, from event expos and job fairs, to university open days and local festivals. 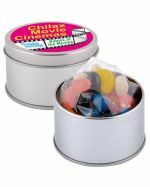 Add them to goodie bags or sample bags, or use them as a sweet prize in quizzes and games. 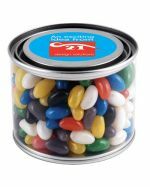 Alternatively, give these custom-branded jelly beans to your clients and staff as complimentary gifts, to show them the appreciation they deserve, and that you are always thinking of them as valued customers. 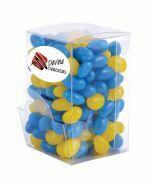 The sky’s the limit when it comes to distributing these personalised candies, and it’s hard to go wrong with a promotional jelly bean giveaway no matter what your situation is. 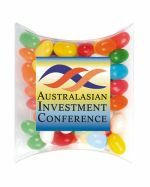 We produce and stock our promotional packaged jelly beans locally and brand them here in Australia, for a one week rapid turnaround time and fast delivery to all states and territories. 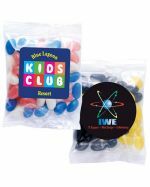 Contact our friendly staff today to find an affordable deal on these amazing custom-branded lollies for your next marketing campaign or event, and have them promptly delivered to your location wherever you are in Australia.